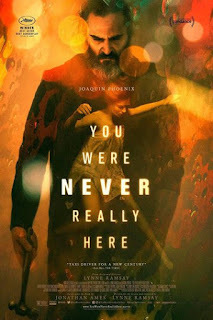 Read Mind on Movies review of You Were Never Really Here. A traumatized veteran, unafraid of violence, tracks down missing girls for a living. When a job spins out of control, Joe's nightmares overtake him as a conspiracy is uncovered leading to what may be his death trip or his awakening. 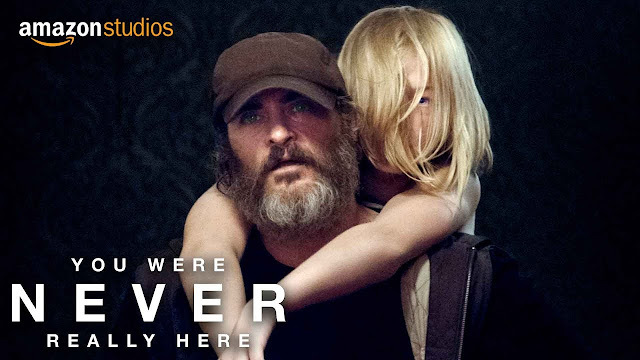 You Were Never Really Here stars Joaquin Phoenix as Joe, a contract killer that is hired to find young girls that have gone missing. Going into this film, I was expecting a stellar performance from Phoenix, and he did not disappoint. 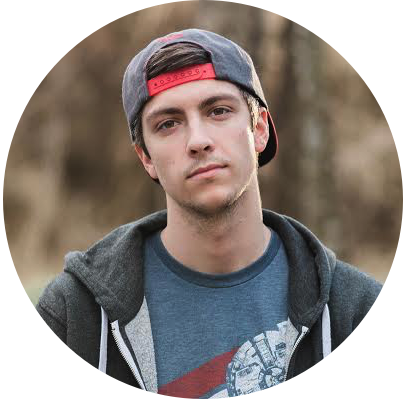 Joe is a troubled man with a horrific past, and Phoenix portrays a tortured soul to perfection. Although the lead performance is great, the narrative and the overall story wasn’t there for me. Connecting and feeling for the characters involved is pivotal to this film’s success, and besides feeling for the main character that we have been following around constantly, I care about no one else. Also, Phoenix plays such a traumatized person, connecting with him is very difficult because he’s basically a calm sociopath waiting to explode. This film wasn’t phenomenal for me because of that lack of connection. This is a world I do not know, a man hired to retrieve a rich man’s daughter from a child prostitution ring. The Schizophrenic nature of the lead leaves me disconnected for the entirety of the film. And after a conspiracy is uncovered during his mission, Joe basically goes through the worst possible day anyone can have, and his actions still fail to connect with me. The story throws this conspiracy at you with half an explanation from the mouth of a quiet, dying man. I completely missed it the first time around. The person behind the conspiracy also has no lines in the film and is introduced at the same time as the conspiracy itself. He’s on screen for less than a minute, so the character adds absolutely nothing to the story. I’m sure there’s an argument that this film just goes over my head, but I think the story was there, but they completely missed with the execution. I wanted to enjoy this movie more than I did. I definitely think Joaquin Phoenix’s performance is worth the watch for an hour and a half long runtime. Many others seemed to enjoy this movie more, and I will say the overall climax of the story is mostly satisfying, but even the final minutes bring back the confusion. This film portrays tortured souls better than most movies. The performances from Phoenix and the young girl he’s tracking down, played by Ekaterina Samsonov, remind me of the performances in the film Prisoners. Although you can’t always put yourself in their shoes, their performances feel completely authentic.